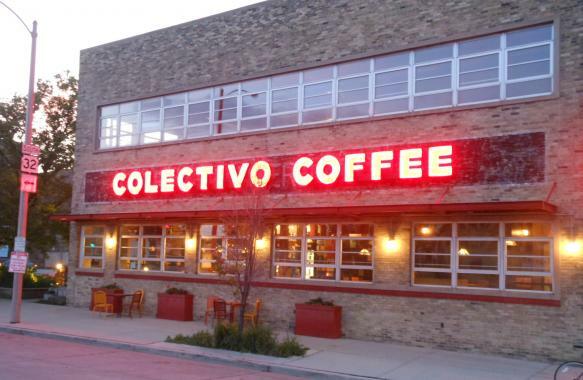 Our client, Alterra Coffee, is a popular local coffee roaster in Milwaukee, Wisconsin. The company went through a name change when it sold its brand to Mars Corporation. Over the years, we’ve done quite a bit of work with Alterra so we were a natural choice for the signage with the new name and the subsequent re-branding. 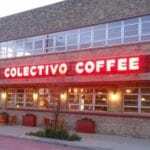 When coming up with a new name, they were inspired by the artful (and funky) buses used for public transportation in Latin America, “colectivos” (co-lec-TEE-vo), and the iconic part of daily life they represent. 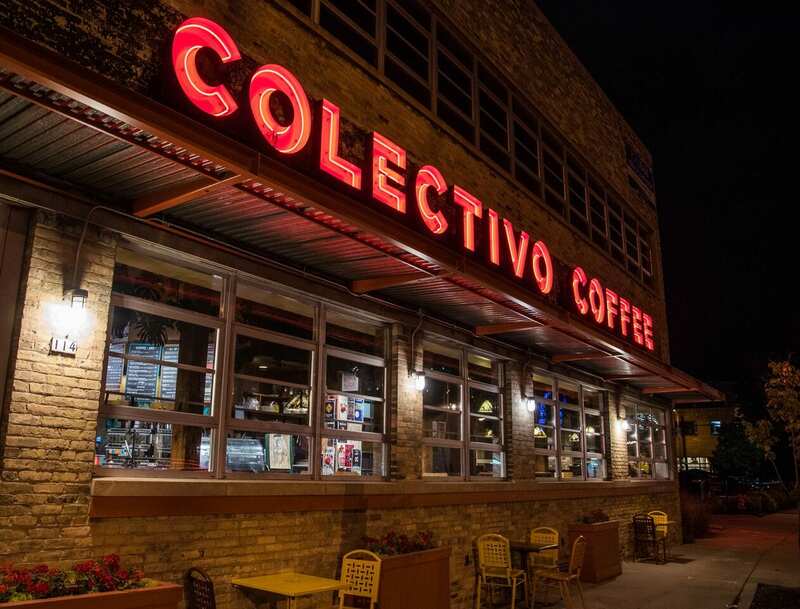 Alterra is now Colectivo Coffee. A key element of the re-branding was change over on their retail signage. We did 4 of their retail locations. Some were exposed neon, some were other forms of channel letters based on city mandates. 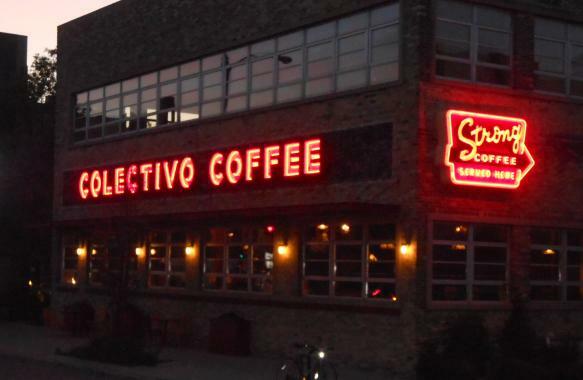 We did the “Colectivo Coffee” open faced channel letters with exposed neon in the summer of 2013 and the “Strong Coffee Served Here” sign in the spring of 2014. 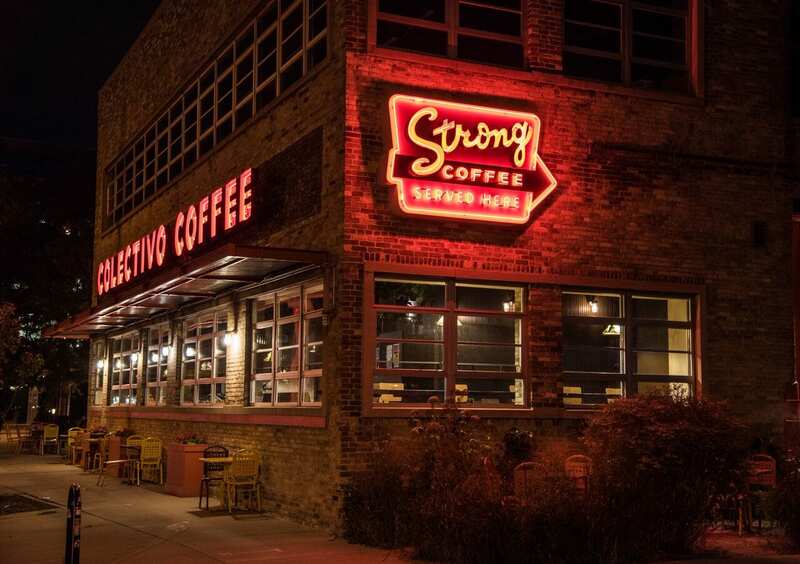 The original design of the “Strong Coffee” sign came from the client’s Art Director. 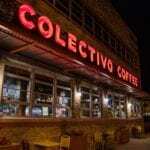 They liked the look of retro signs and wanted illumination to give it visual impact. In the design process, some modifications were made to enhance it. 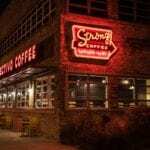 For example we suggested using channel letters for the “Strong” to give it depth and so it would be highly suggestive of retro type signs. 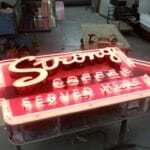 Our crew enjoys working with neon because it’s a look you can’t always get with LED lighting. 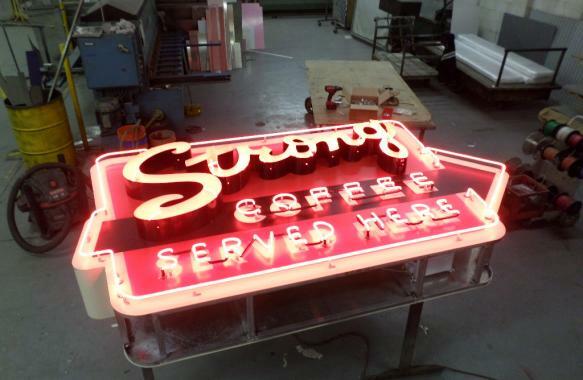 Neon signs deliver that simple retro look, without all the bells and whistles. It gets the message across clearly. Here’s to good cup of strong coffee!